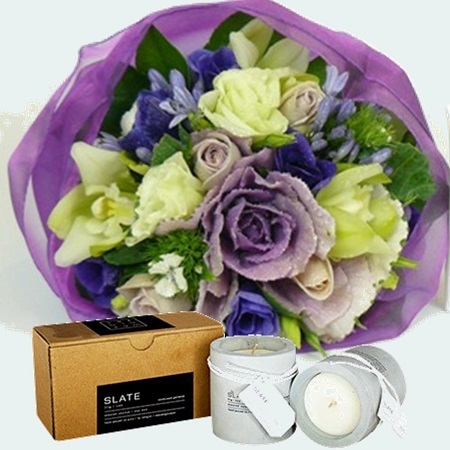 A pretty garden posy in soft shades of purples, creams and green, beautifully packaged together with a stylish pair of Slate Candles to make a stunning gift package. Your PickMe posy and gift is wrapped in lush organza and cradled in white tissue inside our signature pickMe carry bag. We then complete your order with a gift card and trimmed with ribbon making the perfect gift delivery!